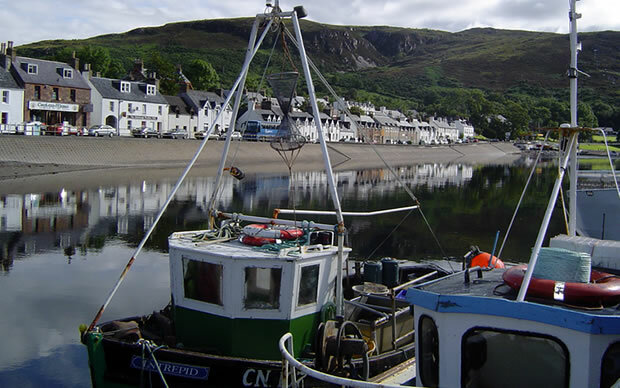 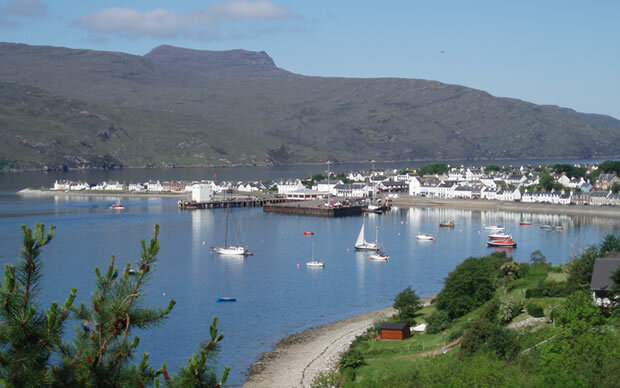 Ullapool, abeautiful fishing village on the north west coast of the Highlands, Scotland. 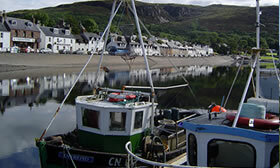 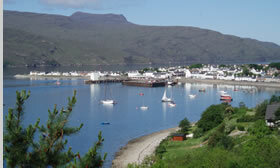 Ullapool Harbour welcomes fishing boats, yachts, cruise boats and sports craft. 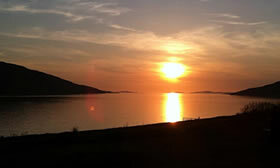 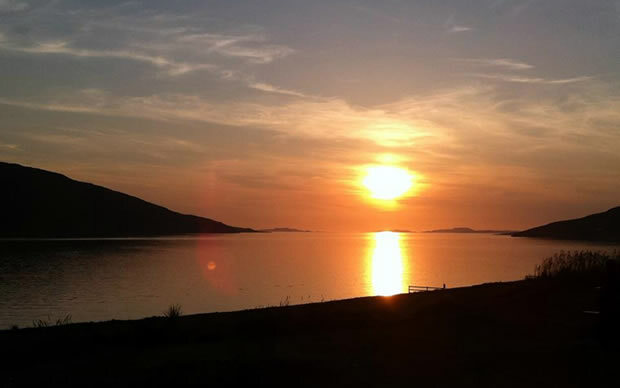 The sun setting over Loch Broom behind Ullapool to the Summer Isles. 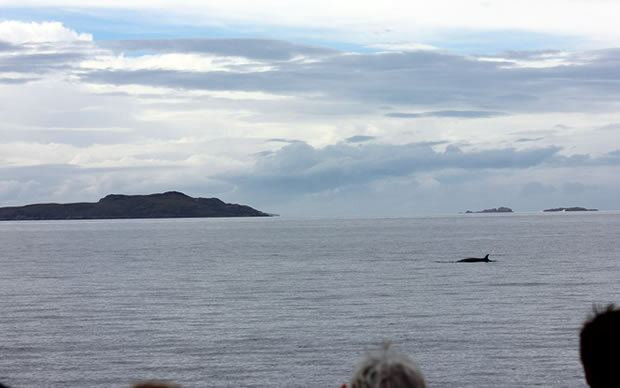 Dolphin from one of the tour boats in Ullapool Harbour. 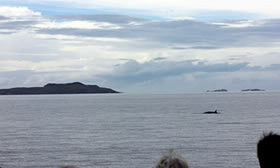 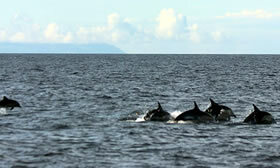 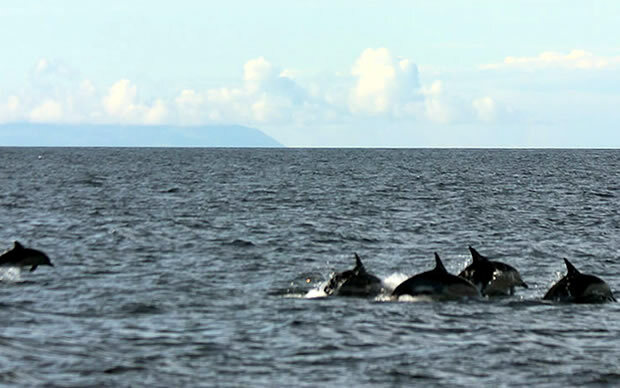 Passengers viewing whale in Loch Broom on a tour boat. 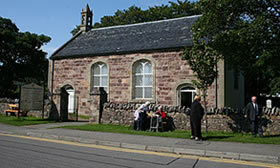 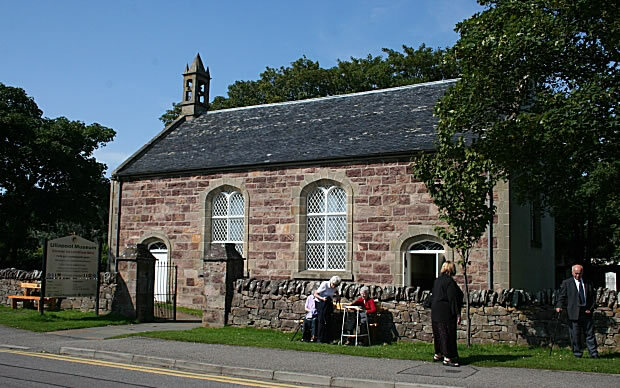 Ullapool Museum is an old Telford Church next door to Dunvegan House. 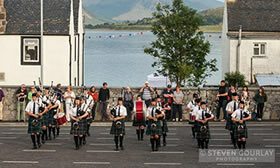 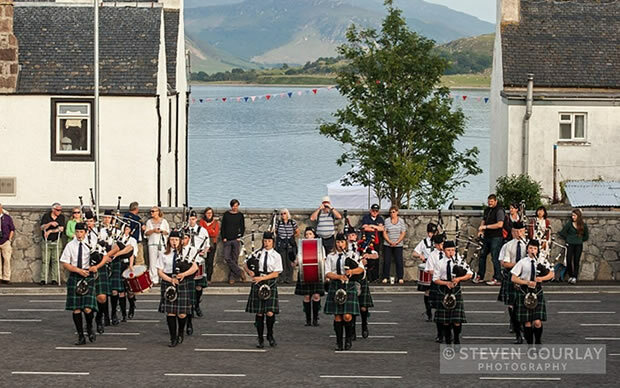 Ullapool Pipeband performs in and around the village through te summer. 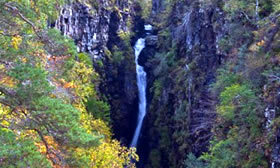 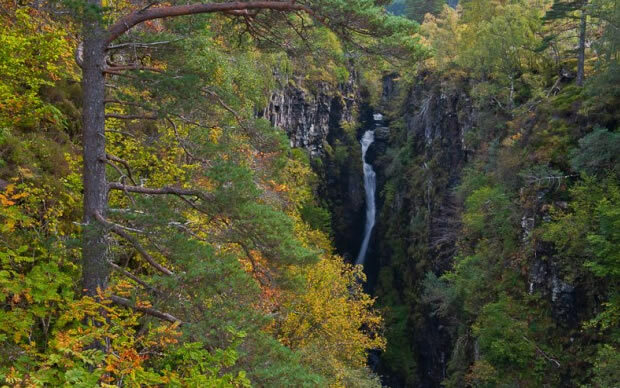 Corrieshalloch gorge and waterfall just south of Ullapool is breathtaking. 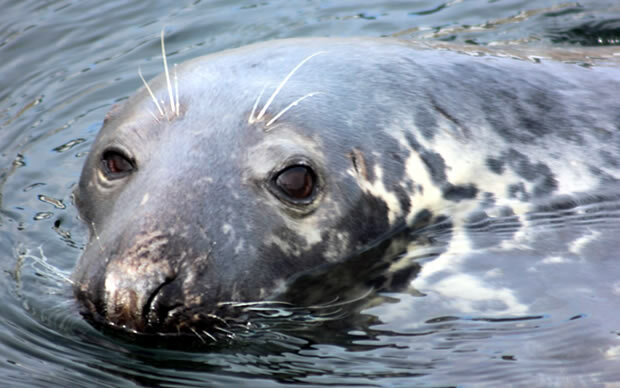 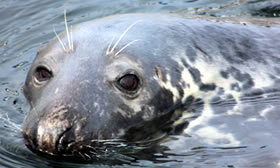 Sammy the seal lives at Ullapool Harbour and other swim in the loch off the beach. 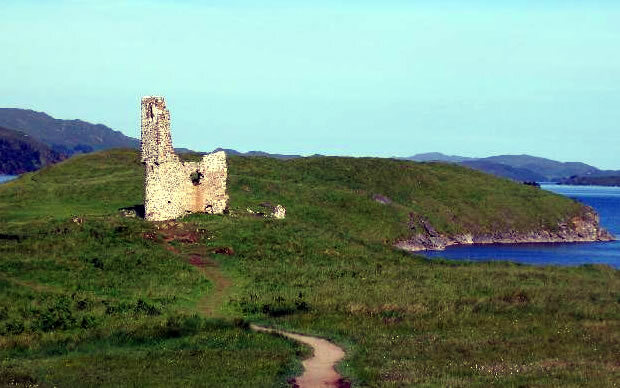 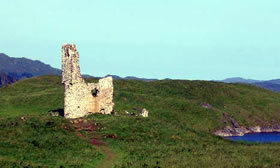 Ardvreck Castle on the road north towards Lochinver, a lovely place to visit. 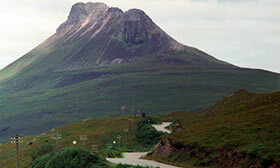 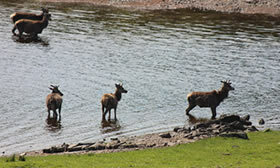 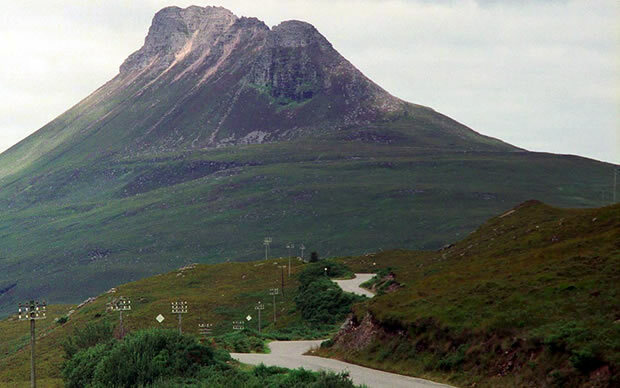 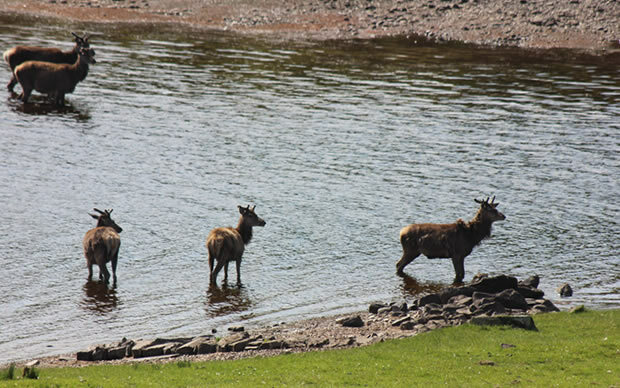 Deer live in the forrest and hills around Ullapool, often visible as you drive around.